Breakers FC Strikers 10B are Mayor's Cup Champions! 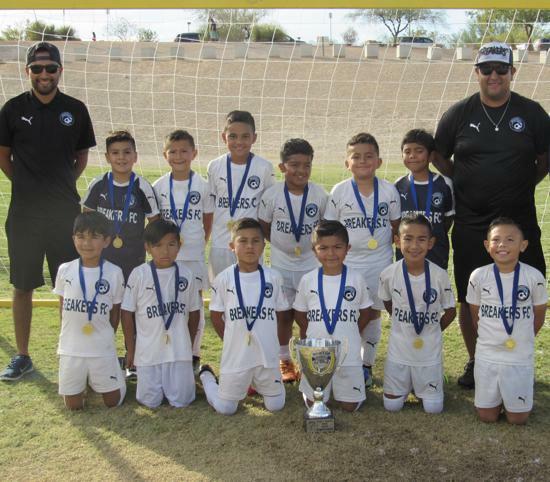 This past weekend our Breakers FC Strikers 10B finished first place at the Las Vegas Mayor’s Cup International tournament, winning all four games and earning the title of U9 Adidas Division Champions! The team had a fun and busy weekend at the tournament. 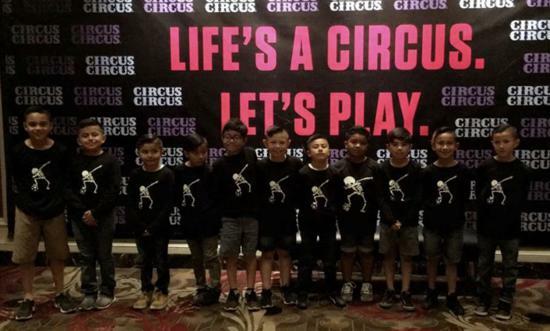 On Saturday October 27th they played Zorros Del Cetys Mexicali and Blitzz FC 2010, Utah, earning two wins. On Sunday the team played vs Downtown LVSC 10 Nevada, sealing the third game with a win and sending the team to the final. In the final the Breakers U9 boys faced Diversity FC ’10 Academy from Nevada, and finished the first half leading 1-0. In the second half, the team added a total of 5 more goals securing their championship title with a 6-0 win.